“The key to [Silver’s] system is the concept of ‘safe fighting’. This is a subtle concept because it is not so much interested in striking down an opponent as it is in not being struck down by him. A direct result of this idea is that if two men who have perfected ‘safe fight’ were to face one another, neither one would be wounded. Because both men would have a perfect understanding of fighting, neither would present an opening through which his opponent could attack. Any attempt by an attacker to force such an opening would more often than not create an opening in the attacker's posture. This, of course, would lead to the attacker being cut down. A confrontation between two such skilled men would result in a standoff. Such standoffs were in fact reported in both England and Japan. At first I thought of giving Tirikelu characters a pool of points each combat round, and they’d allocate attack and defence out of that pool. But for once, thank goodness, I managed to remember my oft-quoted and rarely observed dictum of Keep It Simple, Stupid. Instead of the pool of points, I allowed each character either one full action or two half-actions every round. These are things like attack, parry, dodge, etc. If you do a full-action attack, for example, you get to use your full combat value, but then you have nothing left for defence. Here’s an example. Suppose I’m fighting your character and we both have combat value 16. In Tirikelu you roll and add Dexterity to decide initiative, and then count down each round. So let’s say in the first round I’ve got initiative. It gets to my turn and I say, “I’m making a half-attack at you.” I could have deferred my action till later in the round, by the way, but in this case I’m hoping I can put you out of the fight quickly. You declare your response, if any – “I’m making a half-parry,” say – and then we both roll 1d20, aiming to score equal to or under the combat value we’re putting into this. We’re both making half-actions, so that means we need 8 or less. I roll first and I miss. But you still get to roll because if you make a successful parry against an unsuccessful attack there’s a chance to riposte. Let’s say you roll a 4. Okay, so you made your parry, and the riposte rule is that if you get to make an immediate free attack against me using the number you rolled as your skill – in other words, you need to roll 4 or less. The riposte doesn’t use up your regular action allowance for the round, and I don’t get to attempt a parry. Let’s assume that riposte misses. Well, it was a pretty hard roll. So now we resume counting down initiative till we get to your turn. You used up a half-action already on the parry, and you know I have a half-action left. You could make a half-attack at me, in which case my options are either to ignore it and hope you miss, in which case I can use my remaining half-action to attack you at the end of the round, or to attempt a half-parry, in which case we’ve both used up all our action allowance and a new round begins. This may sound simple, and it is nicely quick and dramatic, but there are subtle tactical tricks to be exploited by an experienced player. 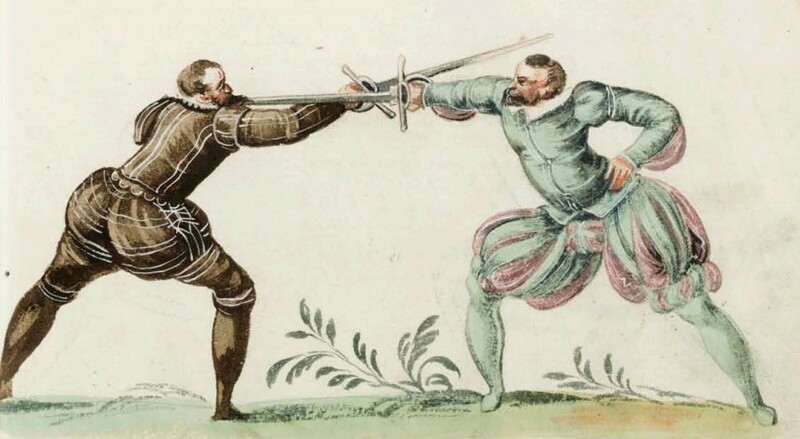 If you’re facing an opponent who is strong but not as skilled as you are, you’ll want to concentrate on the sort of safe fighting George Silver recommended, parrying while waiting for your foe to make a mistake that you can exploit in a riposte. On the other hand, defensive fighting may not help you against a much more skilful opponent. The reason is that attacks made with a combat value above 20 are harder to parry. 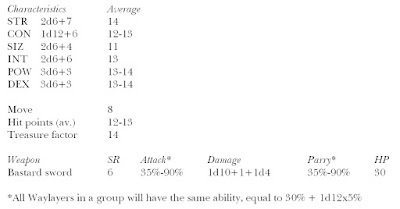 If an opponent strikes at me with a combat value of 25 and I parry with a combat value of 16, I actually need to roll 11 or less (16 minus 5) to make the parry. So in that fight my best chance would be to flail around with half-attacks, hoping to get him to split his combat value. The odds are still against me, but if I score a hit and his parry misses, maybe I can wound him enough to even up the fight. Which brings us on to damage. This uses a d10 roll cross-referenced with skill. So at beginner level it’s just 1, 2, 3, 4… and so on up to 10. But at very high skill it translates to 6, 6, 7, 7, 8, 8, 9, 9, 10, 10 – meaning that you can never score less than 6 damage on a successful hit. The weapon you’re using is a modifier to the d10 roll, not to the damage itself, making an extremely practiced guy with a dagger much more deadly than a novice with a two-handed axe. Armour subtracts from damage in the traditional GURPS/Runequest manner. What about injury? I wanted it to have an effect on your fighting skill – a serious injury reducing your ability to fight back more than a light scratch – but at the same time I wanted to avoid lots of book-keeping that destroys the dramatic pace of a fight. So I split wounds into categories. 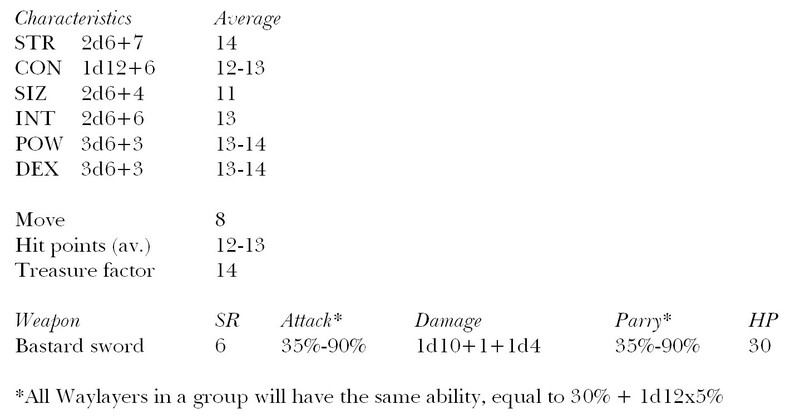 A light wound is at least 20% of the character’s hit points in one blow, a heavy wound is 35% or more of full hits, and a grievous wound is over half your normal hit point score in a single blow. Each of those has a progressively higher penalty to combat value and requires a harder Stamina check to stay conscious. -- meaning that with 15 hit points, you take a light wound if hit for 3-5 points, and so on. Lawks, I could have gone and got a beer while all that was going on. And drunk it. Now, I appreciate that once you’ve memorized all 570 pages of GURPS 4e (assuming you disregard all the supplementary rules) then you can get a bit quicker at doing all that mental arithmetic on the fly. Or you can do what an experienced GURPS referee like Tim Harford does, and judiciously chuck out 90% of the rules in the interest of keeping the pace going. In our last Legend special, one of the player-characters pulled out a garrotte. My heart sank. Using GURPS garrotte rules as written, just his part of the battle could have eaten up half the afternoon. Luckily Tim just got him to roll Stealth and Garrotte skill, rolled for the sentries’ Perception, and ruled that he’d strangled them all before they had time to act. Which is fine, but in that case why use GURPS? 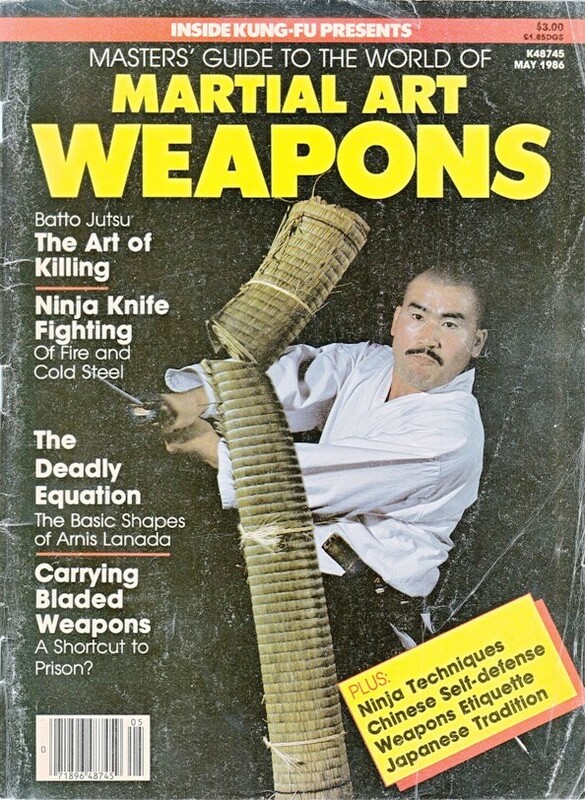 The solution I’d prefer: why isn’t there a cut-down version of GURPS with far fewer highly-specific skills and none of the special casing that delights only the most obsessive rules lawyers? When I have a spare couple of weeks I might write that myself. Maybe I could even seduce a narrativist player to the dark side with a system like that. Who knows? If you want to try Tirikelu for yourself, you can get a free PDF that also has source material and scenarios. Or set it up to print yourself a physical copy on Lulu.com; instructions for that here. And if you should play a game, let us know how it goes in the comments. Jamie is the absolute master of squeezing every tactical advantage out of the Tirikelu combat system, so I’m hoping he’ll join in the discussion. Working on a series like Fabled Lands, a moment occasionally comes along that makes you squeal in fanboy (or fangirl) delight. One of those 'squeal' moments came early on for me, in the planning stages of The Serpent King's Domain, when Dave and Jamie opened up their treasure trove of notes of what they'd originally had in mind for the second half of the series. Being able to freely quiz Dave and Jamie regarding their thoughts on, say, the inhabitants of The Desert of Bones, or the theology of Chrysoprais – that's pretty squeal-inducing too. Working with Dave and Jamie to explore and develop these unknown quarters of their great big sandpit has been enormously fascinating, and a huge amount of fun. But then there's also the flip side to that. There's the gruntwork that's involved in writing a book. Checking punctuation. Checking that every paragraph number that should be in bold text actually is in bold text. Verifying there are no broken 'turn to X' links in the book – for the second time, because you're afraid that a software gremlin has made a change you didn't intend it to. As fun as this work is overall, these are the tasks that make you want to repeatedly bang your head against the wall just to hold the tedium at bay. And, because that's the stage we're currently at, they've been pretty frequent of late. The good news: the text of The Serpent King's Domain is finished, done, finalised. So too are Russ Nicholson's interior images, and Dave is now diligently slaving away on the final page layout for the book. We're reserving the right for any last-minute minor changes – alterations to the difficulty numbers of tests; things that won't hugely impact the number or length of lines of text in the book. But for all intents and purposes, yes, we're done. As I write this update, I'm also writing the book's back-cover blurb in another window on my computer. That's the point we're at, now. The only thing we don't yet have is the final cover for the book. But that's moving along too. Kev Jenkins recently sent us an updated image for the cover, now in full colour. It's not absolutely finished yet – but it looks really, really great. I'm looking forward to the moment when we can finally unveil it. So what comes next? On the creative side of things, Russ still has to do a few direct commissions for high-level backers; we've been talking with the people concerned about that. But that aside, the creative element is pretty much done. Once Dave has finished the page layout, and once we have the final cover, everything is passed across to Megara Entertainment, whose Kickstarter campaign it was and who will handle printing and shipping. There are a handful of smaller miscellaneous project rewards to deal with as well – the artbook PDF, the high-resolution map file, the cross-promotion with The Good, The Bad and The Undead. Megara will shortly be handling those too. And that's it. Printing and shipping will surely take a while, but after that, we'll be done. With this seventh book in the Fabled Lands series, at least. As always, thank you, our supportive backers, for helping and allowing us to reach this point. I couldn't agree more. But you already know that if you’ve read earlier posts like this one and this. In that same podcast, Roger and Michael talk about a sniper character. You don’t just want the sniper to hit the target when it suits the story. The story is whatever happens. That Hollywood baby formula of turning points and themes and act breaks – that’s the little learning that’s a dangerous thing in game designers' hands. It’s a join-the-dots narrative construction model designed to help Hollywood churn out the product they want to make. It bears as much relation to good (= interesting, unusual, surprising) stories as fast food does to a good meal. Like in life, it's how you react to the random events that's often the most memorable stuff. The point here, though, is not that all that Blake Snyder BS will only render up repetitive story structures. Nor is it even that codifying rules for creating stories is less effective than just winging it. (Though that's true too; the only rule you need is to keep throwing surprises at the players and be ready to run with the ones they throw back.) Stories might be a by-product when the dust settles -- we're human beings, everything looks like a story after we've done it. But going in with the intention of shaping a story requires distance. The very opposite of emotional engagement. Players will often recount their in-game stories; you've seen our write-ups. But what's really fun is that those are utterly unreliable accounts. Ask another player, you'll hear a very different tale. And, as with life, we impose the form of a story after the event. At the time it happens we're right in the thick of things, living an imaginary life not authoring a yarn, and if what you're aiming for is how it feels then stepping back for a bit of chin-stroking analysis is not only going to etoliate the experience, it's likely to bend what might have been a surprising and unique sequence of events into something more like a prosaic formula. And after all it wouldn’t matter a jot if nobody ever did a game write-up or recounted the adventure later. The write-up is like photographing a sand mandala. The point of a mandala isn’t to end up with a work of art, it’s to be there for the creation of it. That goal of how it feels is a point expressed very well in this video (9:00 minutes in) so I'll wait while you have a look at that. Why are games written nowadays to reproduce, as Mr Bell-West says, the stories that you'll find in other media? Partly it may be that for a published game to make money it has to have a gimmick, and there's quicker surface appeal in a system that promises you it has rules for ensuring a great story. Or is it that many games lack a deeper cultural underpinning, which means that abstract story forms are easier to impose? 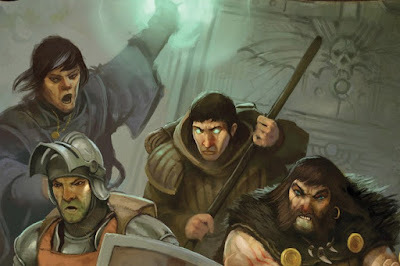 If players in a Tekumel campaign are at loggerheads, they have law courts and clan-councils and shamtla and the duelling code to fall back on -- and all of those have their own in-game rules that yield rich stories. In the absence of those social structures, meta-rules for fictionalization may seem more necessary to keep the game going. And there's the rub. Keeping the game going. That's easy when you're in your twenties with no spouse or kids. Your game persona can take over and initiate events in your parallel life. But not every gaming group has that luxury. Some reviewers of Fabled Lands have complained that without a quest assigned to them they don't know what to do. Jamie joined in our Victorian Investigators game recently and noticed that the players don't tend to drive the story in-character; they discuss and analyze, but then they wait to be told what the story is, and react. Under those circumstances, I can appreciate why people would reach for rules that encourage you to step away from the persona and think instead as an author. Finding a way to work in your character’s catchphrase, or analyzing the character’s story arc to decide what ought to happen to them next, are signs that the actual playing of the character, the participation in the moment, are no longer fun. But that doesn't mean you can't enjoy the dramatically ironic style of game for other reasons. I'm eager to play James Wallis's Alas Vegas (admittedly light-years ahead of the usual "storytelling" systems) even though I'd chafe at so self-consciously narrative-shaping a game on a weekly basis. So, you know, none of this is the One True Way. We're just talking. I don't always play card games, but if I did I'd reach for a Dos Equis* and settle down to an evening of something like Cultist Simulator, the dazzlingly gorgeous new story-weaving game currently being run on Kickstarter by Alexis Kennedy. Mr Kennedy, as you may already know, is one of the originators of Fallen London, and it looks like his new project will match that for eerie beauty, stylish design, and prose that is both numinous and luminous. "Cultist Simulator is a narrative game that lets you play a seeker after unholy mysteries, in a 1920s-themed setting of hidden gods and secret histories. Perhaps you're looking for knowledge, or power, or beauty, or revenge. Perhaps you just want the colours beneath the skin of the world. "There's some Cthulhu Mythos in here. But there's less cosmic nihilism than Lovecraft, and more perilous longing. 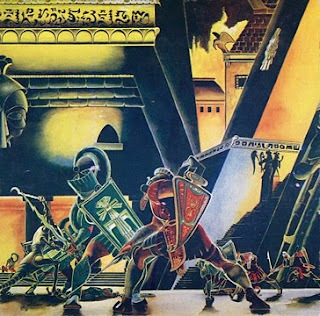 The setting also looks to the novels of Roger Zelazny, Mary Renault and Umberto Eco; to Anglo-Saxon poetry like 'The Wanderer' and 'The Dream of the Rood', and mediaeval Welsh texts like 'The Battle of the Trees'." You can back Cultist Simulator here. And come back on Friday if you fancy a debate about role-playing styles. Looking ahead, next week we'll be going back to Victorian times with a tale of witchcraft and curios, and with more goodies coming thick and fast through the autumn, including Powered By The Apocalypse, an Arthurian sci-fi romance, the high-risk profession of the demonologist, more Questworld, and even a free gamebook before the year is out. All your gaming longings gratified here, folks. "Your adventure is only limited by your success in pursuing your own goals. You have no single quest to complete and there is no fixed 'story', but you will encounter many quests, missions, puzzles and mysteries throughout the book. Your journey through these becomes your 'story' and when it comes to an end, you can begin once more and explore what might have been." That's new gamebook author Martin Noutch describing his upcoming project Steam Highwayman. It sounds like it will appeal to fans of open-world gamebooks, as well as to steampunk aficionados, and if either or both of those ticks your boxes, you want to head over to Kickstarter and back the first volume in the series, Smog and Ambuscade, right now. I've seen parallels being drawn with Fabled Lands, and certainly Steam Highwayman is an open world -- more of a solo RPG than a gamebook of the Fighting Fantasy single-quest model. But Martin has made a significant innovation. Where Fabled Lands leaves you to define your own character and goals (a degree of absolute freeform that many find too daunting), Steam Highwayman is more like a structured roleplaying campaign in which you are given a pre-defined role. You're not just presented with a world and told, "Go." You're a figure in that world and your choices fill in the character background. Kind of like being given Robin Hood to play, but whether he's a peasant or a dispossessed Saxon nobleman is left up to you. And that difference will, I think, make Steam Highwayman accessible to a lot of people who wouldn't know where to start with Fabled Lands. "Steam Highwayman is an adventure gamebook in which the reader explores an alternate 19th century England on a steam motorbike. You can choose to rob the rich, give to the poor, or to pursue and punish evil-doers. Will you side with the Compact for Workers' Equality and work to bring about revolution in England? Will you find a place in high society and become famed for your gallantry and style? Will you find your own path through the smog of the cities and beneath the branches of the quiet woods?" I detect notes of H G Wells, Keith Roberts, maybe even a dash of William Morris. It sounds like a glorious immersive adventure which Martin has enriched with a depth of characterization you just didn't get in those old '80s gamebooks. And from his proficiency with accents in that YouTube trailer, I bet his roleplaying sessions are a blast too. When Oliver Johnson and I were working on Questworld in the early 1980s, we inherited the geography of the continent from Chaosium but had freedom to add our own towns and other features. The project felt a little too control-freaky to work as a shared world, so we weren't too sorry when it fell through -- apart from the fact that we'd written an entire campaign pack and never got paid, but that was par for the course in my dealings with Games Workshop in those days. 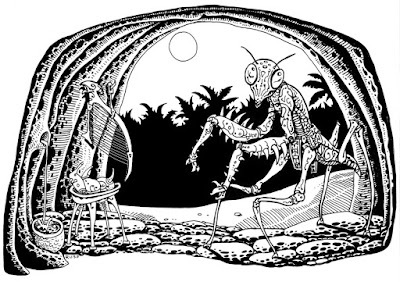 Let me tell you about the Adventure RPG sometime, or the series of gamebooks that GW supposedly planned to publish after the success of Warlock of Firetop Mountain. One of our own additions that we liked was the Miasmos swamp. On the map there you can see "Fuju'se" on the western edge; that was the original name of Cinderbrake Castle which featured in the recent "Sweet is Revenge" scenario. Here is a taste of the Miasmos region with some of the special encounters we planned for it. It's nice to think that thirty-five years after writing all that stuff, we finally have somewhere to use it. Maybe I'll wheel out some more of the Questworld scenarios if there's enough interest. In addition to the obvious danger of running into a group of mausogoths or other monsters, Miasmos holds many insidious threats to an adventurer's life. Leeches, trunju fungi and swarms of kissgiss (a species of mosquito) all harbour disease. Every 1-6 days, each character must make a luck roll to avoid exposure to disease. There is a 75% chance of a minor infection (see Cults of Prax, the Mallia cult) and a 25% chance of a more serious disease such as soul waste. A character exposed to disease makes the usual hit point rolls to determine whether or not he contracts it. A roll of 61-00 on the Special Encounters subtable provides the referee with the opportunity to introduce a special event or mini-scenario. Such events help to convey the eerie, fantastical nature of this haunted swampland. They need not directly threaten the characters' lives (though they frequently will) as the major purpose of these encounters is to provide atmosphere and drama. Some examples follow. These are said to be the souls of mutinous sailors cast overboard during the Long Voyage frcm. Glorantha, but if this is true it is not clear why they are only encountered in Miasmos. The plummeting soul will first be sighted as a pale green glow up in the night sky, plunging out of the heavens towards a party. Characters who spot this (by rolling their Perception bonus or less on d100, if awake) will have 1-6 rounds to activate spirit block or spirit shield. The light will then strike like a shooting star, engulfing one character (roll randomly for which) in a coruscating aura. The character is subject to the soul's attempt to entrance him. This is like normal spirit- combat possession, but the soul's attack is at +20%. Plummeting souls can be bound, but are useless for memorizing spells because of their animal-like intellect. These are undead manifestations encountered in the Miasmos swamps, typically in shoals of 6-24 hands. Where they come from is not known, and the popular folktale among adventurers, that the hands are those of travellers lost over the centuries in the rivers and bogs of the region, is as good a theory as any. They are pallid, ragged-nailed, dark-bristled hands, bloated and slimy as though having been in the water only a few days. Under cover of mist or darkness, they crawl up the sides of a boat like white crabs and then swarm over its occupants, draining them of vitality. A party of adventurers might be traversing Miasmos in a small barge as dusk closes over the drear landscape. One of the party lies sleeping in the stern, perhaps feverish from kissgiss bites. No one notices the pale shapes scuttling aboard out of the dark water until a scream rings out. The awakened adventurer half rises, grappled by disembodied hands, unsure if he is yet dreaming. More clamber onto him as he stumbles about in the semi-darkness, fumbling for his knife. He can fight these creatures only with fist (including grappling to hurl a hand away), cestus or dagger. His comrades, rushing aft now with lanterns, can strike at the hands with any weapon, but excess damage will wound the grappled character as well as the hand struck. If another character strikes at a hand and misses, he must roll DEXx2 or less on d100 to avoid hitting his comrade instead. 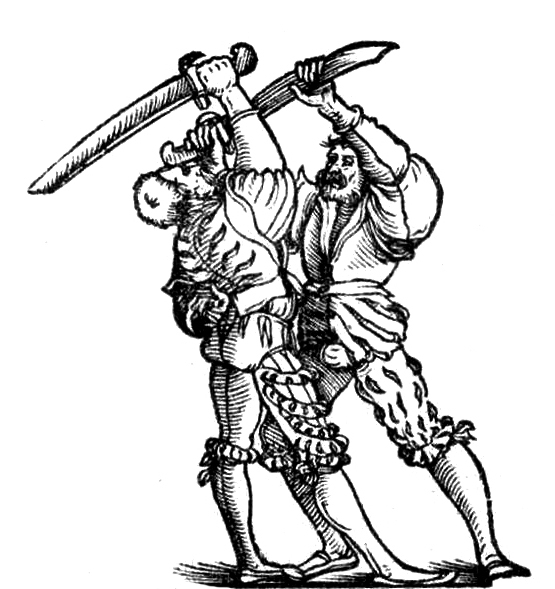 Each round after grappling its victim, a hand matches its POW against his in an attempt to drain him of 1 point of STR or POW (random as to which). This does not cost the hand POW. 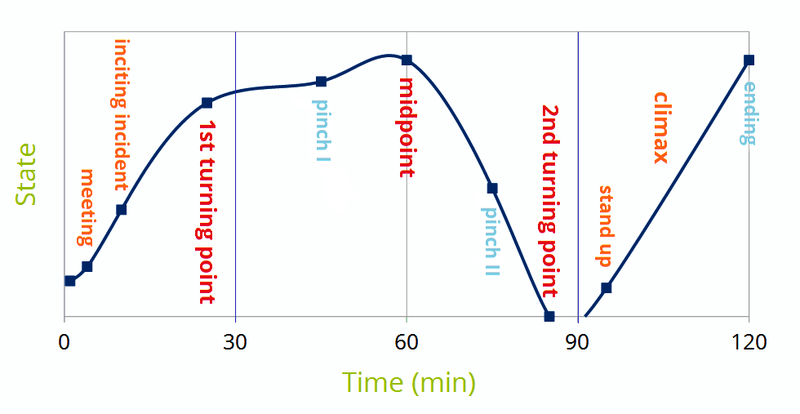 Drained STR recovers at one point every six hours. 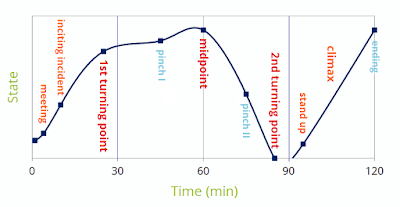 Drained POW recovers at the normal rate. The hands’ touch reaches through armour but is unlike a vampire’s in that POW drained does not go to the hand. A hand regenerates damage at 1 point/round unless disrupted or burned. Each hand adds ½ point of ENC to its victim as it tugs at his limbs and entangles itself in his clothing. Once grappled by more than four hands, the terrified victim must roll MDF x 4 (see Appendix) or less on d100 or collapse from fear. “I was on point, just a dozen yards ahead of Wishbone and the Ancient. They had me in sight, following me through the fog by the red light of the lantern I was carrying. The mud was sucking around our ankles and I was looking for a stretch of the old road, or at least firmer ground. Just as I ducked my head under a branch I glanced up and saw something up there. Not in the tree, you understand. In the air above it. “It must have been huge. A hundred yards or more across, and floating maybe twenty yards above our heads. At first all I could make out was a shadow in the fog, but then I could see it was a large pyramid with the top cut off. Truncated, they call it. The sort of pyramid the Ancients used to build as tombs, only they built theirs on the ground of course. “All sort of silvery it looked, picking out the light and reflecting it like metal would. No, not my lantern. I couldn’t have seen it by just that. It was a column of bright blue light that shone from the base of the thing down to the ground. A broad pillar of light, so as you could almost imagine the thing resting on it. Anyway, we watched it drift slowly overhead, completely silent. The column of light passed by about twenty yards off. I could have gone over and stepped into it, but you know what they say about bold adventurers and old adventurers. “Later the Ancient said it was the tomb of a heretic king or high priest of his race, condemned by the edict of their gods to drift in the mists of Miasmos. Believe that if you want. I heard another story in Tekoa that it was the palace of Nebr, and that anyone stepping into the column of light is taken up into the pyramid. You think you could help yourself to a sackful of loot and then drop back down? More likely you’d shiver up there with the spirits of the dead fondling at you and mewling nasty things in your ear till you flung yourself out. Nobody knows, do they? Stumbler Goodhaven told me he once met an old hermit who’d been taken up into the pyramid and when he was noticed by the servants of Nebr and cast back out, he found that sixty years had gone by and his wife and all his sons were in their graves. Waylayers (sometimes known as Road Folk or, with typically bleak adventurers' humour, Toll Collectors) are gaunt warriors with pale, almost grey, skin and sunken eyes, equipped with rusting arms and armour of antique design. They are variously believed to be the living-dead revenants of soldiers lost in the swamps of Miasmos or else some kind of semi-demonic creatures, but the truth is uncertain. They are infrequently encountered. Sometimes groups of travellers on the Via Arcana roadway which criss-crosses Miasmos will spy hunched figures ahead in the dusk. As they approach, more of the Waylayers will appear as if from nowhere, hauling themselves up onto the road around the travellers, skulking forward and circling, occasionally gesturing or pawing at items which the party carry. These items must be handed over or the Waylayers will become violent. They presumably store their plunder in hidden lairs, for they are never found with any equipment except their swords and armour. These are iron, but if taken from a fallen Waylayer the spell that preserves them is broken and they will inevitably corrode into uselessness within days. Waylayers use no spells and never speak. They are usually encountered in groups of 4-14.